The goal of the SSB is to provide income continuation to your surviving spouse in order to help them maintain the standard of living your family is currently accustomed to. Much like life insurance, the Surviving Spouse Benefit has a cost (premium) and only begins replacing income to your spouse after you pass away and full pension payments end. Unlike private life insurance, the SSB has no medical qualification requirements for eligibility – meaning any federal employee can elect to participate regardless of their medical history. This pricing methodology can benefit those with medical concerns and those who may struggle to qualify for individual coverage but it is usually not the most cost-effective strategy for those who are in even moderately good health. For CSRS retirees, election of the SSB would allow your surviving spouse the ability to continue as little as $1/ month up to as much as 55% of your monthly pension payment (or any amount in between) for as long as they live. The cost of providing the maximum 55% is just shy of 10% of your CSRS annuity payment each month. This also means that, as your pension increases with future Cost of Living Adjustments (COLAs), the 10% SSB cost will actually represent a higher dollar amount each year that your retirement pay increases. In other words, the SSB’s premiums go up each year you get a COLA. For FERS Retirees, election options for the SSB are limited. You only have two choices, the first of which is to provide 50% of your pension to the surviving spouse by reducing your FERS annuity by 10% (for the “premium” payments), or you can elect to provide a 25% continuation of your pension at a cost of 5% of your FERS annuity. As with CSRS employees, the dollar amount that this benefit costs you will increase every year in which your FERS pension receives a COLA. 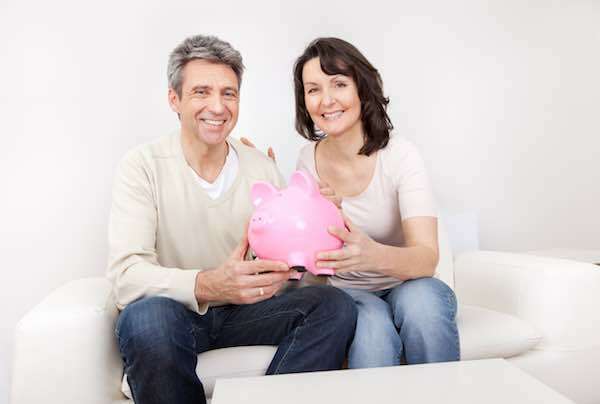 The main advantage of selecting the SSB is that it guarantees an income to your surviving spouse for as long as he or she lives – provided that they do not remarry before the age of 55. The second major advantage of electing to take the SSB is that it allows your surviving spouse the ability to continue participation in the FEHB (Federal Employee Health Benefits) program. Why is this so important? Because Uncle Sam currently subsidizes about 72% of the FEHB participant’s monthly premiums! Keep in mind, the costs of health care/health insurance have been rising dramatically with medical innovation, increasing much faster than the rate at which inflation is driving up the cost of other goods and services. If your spouse does not have enough federal service to be eligible for their own pension, and you elect not to continue a portion of your pension through the SSB, then, if you passed, your spouse would be booted out of the FEHB program. They would then be forced to qualify for coverage and start funding 100% of the new insurance premiums out-of-pocket moving forward. As such, preservation of the FEHB is a big reason why many households with only one federal employee will often elect to continue the minimum SSB option allowed by their retirement plan (at the very least)! The SSB’s cost is especially important to consider when establishing your retirement budget and acclimating to your lifestyle on a fixed income. Here we can see our retiree’s unreduced FERS annuity would provide $4,025 per month. Providing the full SSB has a starting cost of $403/mo (regardless if you’re a marathon runner or smoke 6 packs a day) and it will increase from there with your COLAs! This individual is retiring with a 27-year life expectancy and, over that time, the total accumulated cost of the SSB is $167,362. That is a lot of money out of your fixed income! What happens if our client reaches his 27-year life expectancy but his spouse passes away first? Well, the conditions of the SSB dictate that the $167,362 that this FERS retiree spent to protect their spouse would NOT be refunded to the retiree or their heirs, rather your premiums are used in a collective pool to fund the protection of somebody else’s spouse! As you can see above, the retiree in that scenario’s pension payment would “pop-up” to their unreduced benefit but, in essence, they took a $167,000+ gamble to protect the surviving spouse and “lost”… Because, at its core, the SSB is pretty much a coin flip gamble with 50-50 odds of who outlives who. The irrevocable SSB election is locked in shortly after retirement and is so inflexible that even if you get the ‘coin flip’ right (meaning you are “lucky enough” to pass away before your spouse), you may still not ‘win’. If your spouse only outlives you by a year after you pass, you could have put out $167,000+ for your spouse to only live to receive 12 monthly payments! Unfortunately, the design of the SSB means that the remaining balance of your accrued premiums will not be refunded to you, your loved ones, nor your estate! Nope! The excess funds that you paid into the system will, again, go to someone else’s spouse! For moderately healthy individuals, life insurance can offer the same income replacement peace of mind as the SSB while also offering a number of additional benefits. In this alternative approach, you have much more control – you can list a hierarchy of beneficiaries rather than being limited to paying sky-high premiums to only protect one person (surviving spouse). Strategies can be designed to keep costs down as you start your fixed-income and can lock in your premiums forever (so that you do not face the annual increase in cost associated with the SSB whenever there is a COLA). There are policies that provide your spouse a guaranteed monthly income for life but that also provide the option for a lump sum distribution or a partial lump-sum distribution in addition to lifetime income they cannot outlive. Unless you have a working crystal ball, providing your loved ones this type of flexibility is key. There are policies that can build cash value, ones that offer flexible premiums, and even policies that have innovative features called living benefits – which allow the insured to access a portion of their death benefit in the case of a qualifying medical emergency while the insured is still alive. With the right software, a worthy Chartered Federal Employee Benefits Consultant has the expertise to help calculate the Life Insurance Death Benefit needed to replace your SSB coverage (in full or in part) and can work with you to help you identify what is best for you. For the individual above, we first calculated the life insurance amount needed to replace ½ of the maximum survivor annuity monthly payments for his spouse. Since his spouse was under his FEHB coverage, we looked to combine the 25% SSB option with a more flexible supplemental policy in order to improve their options while also preserving her FEHB access if he were first to pass. As you can see in the lower right, we calculated that it would take $231,139 to offset the difference between the Full SSB (50%) and Partial SSB (25%). As such, we chose a permanent plan for $250,000 that had living benefits a guaranteed premium (meaning the policy’s cost will never increase), and flexible payout options. By designing a coordinated blend of the 25% survivor annuity with a supplemental life insurance policy, we were able to save this FERS retiree money from day 1 of retirement (in comparison to taking the full 50% survivor annuity), we also dramatically improved the flexibility of who his possible beneficiaries could be and what payout options they would have, we added living benefits to allow this gentleman’s Death Benefit to protect HIM (as the insured) during his lifetime if he had a medical emergency, all while still preserving his wife’s full access to the FEHB (ensuring that Uncle Sam still foots about 72% of those health insurance premiums)! Needless to say, they were pretty excited when he got approved. Now, these results will not be the case for everyone, but the only way to make an informed decision about what’s best for your family is to first get informed. Most importantly, you must make the time to discuss your situation with a professional BEFORE you retire. There are a number of variations to this strategy and any one of them may be best for you. Whether you read online and take a DIY approach, whether you are lucky enough to have a good coach locally, or whether you leverage technology to work with an industry expert that isn’t located right in your neighborhood – it is critical that you educate yourself to understand the best approach for your family to incorporate this benefit and how to coordinate it within the context of your retirement blueprint! © 2019 Tom Walker. All rights reserved. This article may not be reproduced without express written consent from Tom Walker. Tom Walker is a Chartered Federal Employee Benefits Consultant and founder of Walker Capital Preservation Group, Inc. He believes strongly in empowering today’s federal employees through benefits education at retirement workshops and through featured publications. He has compiled many greatly informative resources at his website, www.WalkerCPG.com and WalkerCPG Facebook page. What Should You Do If Your Spouse Dies and You Have a Spousal Annuity?